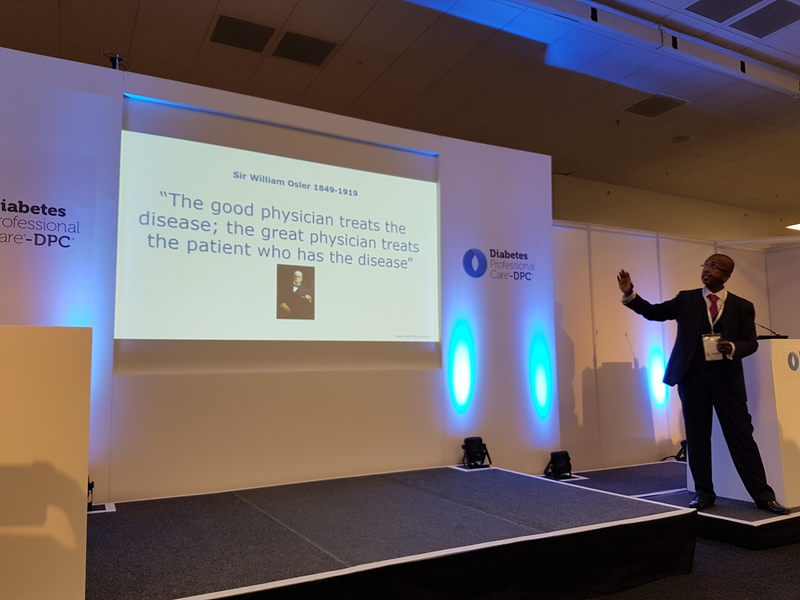 Each attendance has highlighted a common message, which is also aligned to my deep-rooted focus to contribute to the delivery of personalised medicine and care for individuals, which is the cornerstone of Future Genetics. 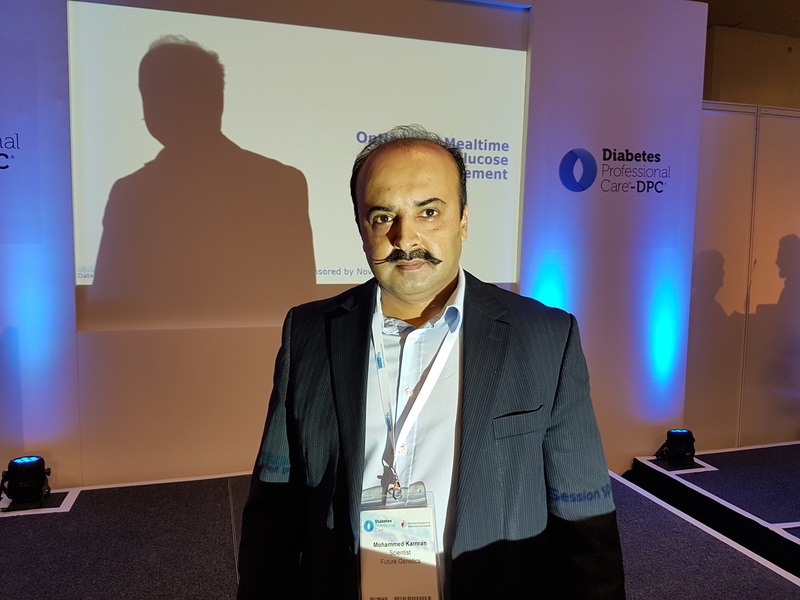 The common message is illustrated using my latest experience at the Diabetes Professional Care (DPC) conference and the key learnings that I have gleaned from Day 1. 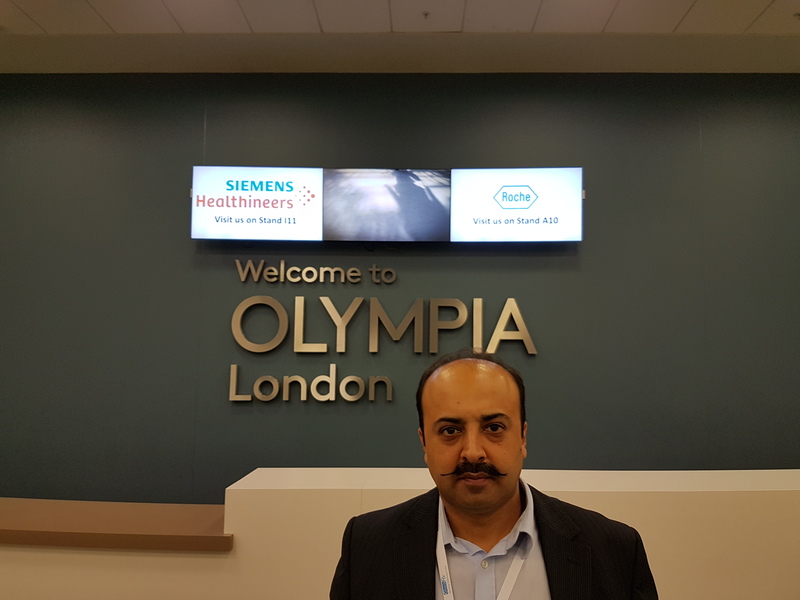 There was a great presentation by Dr Kevin Fernando on blood glucose management, which was energetic and enthusiastically forward looking – congratulations Kevin on a fab delivery. I am of the view that he saved the best and most fundamentally important message till last (see below). Diabetes Learning No.2. T2D Patients identified by “Opportunistic testing”. Consider this: Had they not been tested then their disease could have progressed unchecked to a more advanced stage. With five lecture theatres and so many great sessions running simultaneously, difficult choices had to be made. 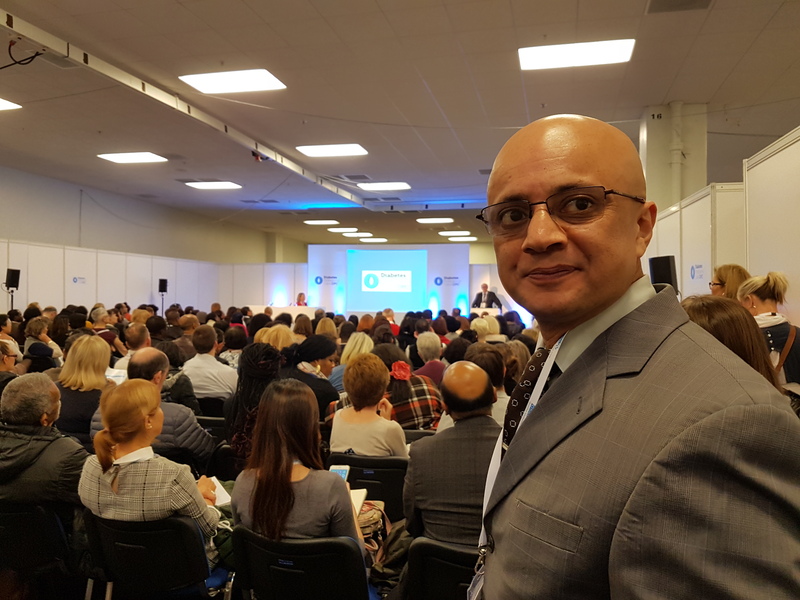 I sat in on a session looking at Type 2 diabetes (T2D) in general practice, where Prof Sir Denis Pereira-Gray pointed out that 95% and 85% of T2D patients were diagnosed and managed in primary care respectively. This was followed by a presentation by Dr Kate Sidaway, PhD. She reported on findings that use of the HbA1c diagnostic test showed that the majority of “opportunistically tested” patients who were positive for T2D were asymptomatic. This demonstrated that there was an opportunity for early management of these patients, which for me opens up a key issue on what should be the basis of testing asymptomatic people? 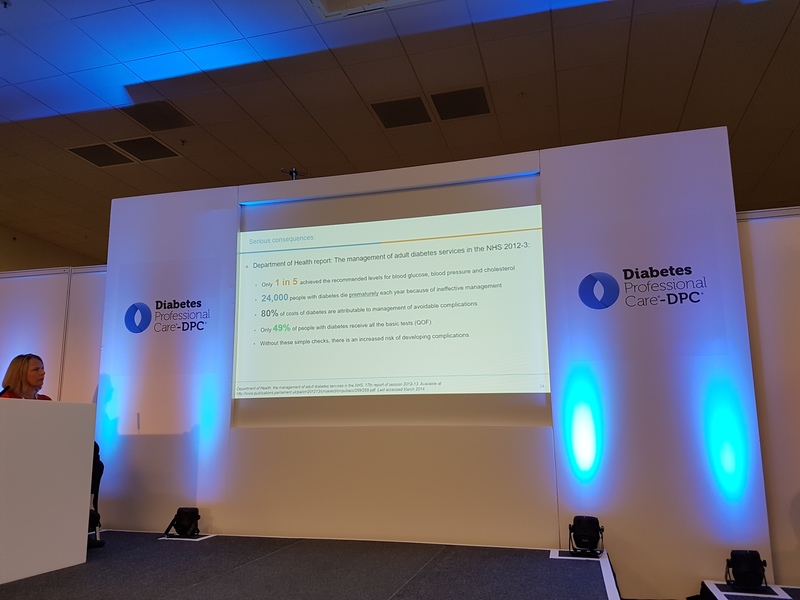 The talk on Clinical Inertia by Dr Suzy Hope was great as it highlighted the challenges faced in delivering the best possible healthcare to diabetic patients. A key statistic from the Quality Outcomes Framework (QOF) data shows that 49% of diabetic patients did not undergo the full spectrum of BASIC tests (please refer to the below slide for this and other figures). Absence of the simple tests increase risk of developing complications. 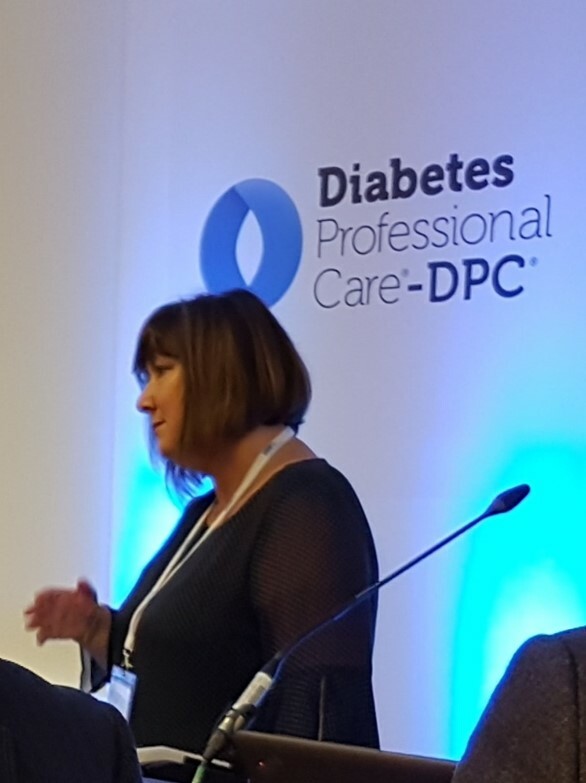 I then went to listen to a presentation by Debbie Hicks on Diabetes Burnout which can be described as the development of a complete disregard for the management of blood sugar levels by diabetics. 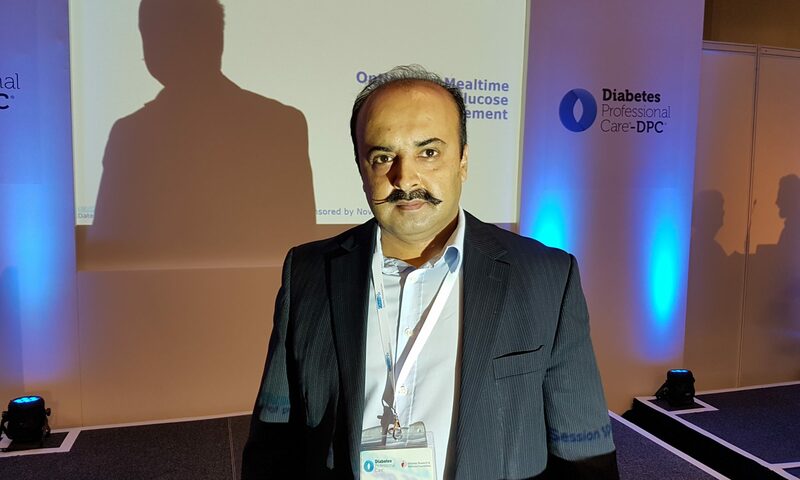 The speaker quoted a figure of 44% of diabetics being affected by this phenomenon, which has clear implications for the safety and wellbeing of these individuals. Keith Vaz, MP had given a Key-note presentation around the theme of prevention being better than cure. He eloquently shared an insightful and humorous anecdote, which unfortunately I cannot fully capture here in a few words. However, the key point from my perspective was that around 10 years ago the Member of Parliament had attended an opening ceremony of a diabetes centre and gave a blood sample for the cameras (yep, the things politicians do for cameras). He was later informed that the blood had been analysed and he was an asymptomatic type-2 diabetic, which ties into the earlier talk by Dr Kate Sidaway. So, this story again emphasises the problem of not identifying patients who should ideally be managed at the earliest possible stage. 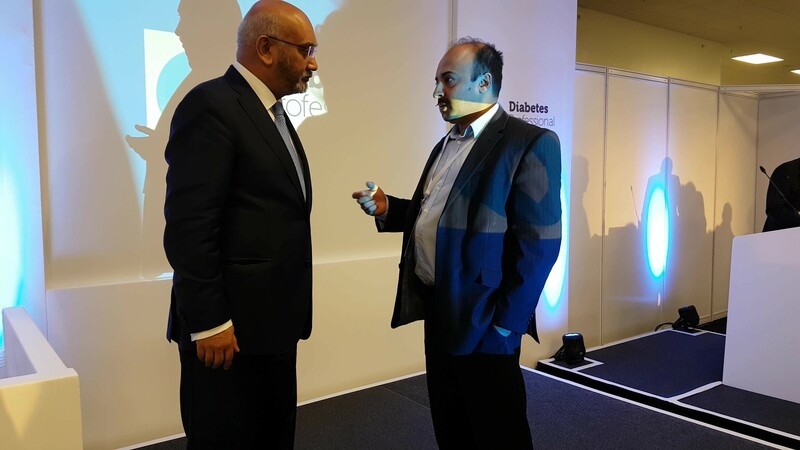 Keith Vaz informed the audience that the government invests £10 billion per annum for diabetes management, although diabetes.co.uk estimates the figure at £14 billion per year. Either way, it’s a lot of money. Whilst I like to think that the money spend is focused and hopefully wisely spent, it is clear that there are cracks that need mending with respect to helping those patients that are currently being missed by the system. Therefore, a meaningful re-think at some level is needed if we are to avoid falling foul to Einstein’s view of insanity (repeatedly doing the same thing and somehow expecting a different outcome). Let us know your thoughts on this article, and please feel free to share any experiences you have had.